Health Care forms. Save on Attorney Fees. Money-back Guarantee. 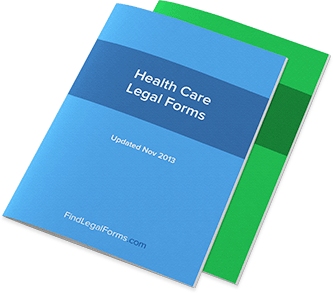 Each legal form has its own responsibilities and characteristics, but all are aimed at providing a legal ground for and proof of your health care wishes. Anatomical Gift (Organ Donation) Agreement by Living Donor This kit provides tools and guidelines to assist you in creating your Anatomical Gift. Anatomical Gift (Organ Donation) Agreement by Next of Kin This kit includes the tools and guidelines for a next of kin or guardian to make an anatomical gift on behalf of a decedent . There is a natural hesitancy to avoid subjects that are painful, and nothing is more difficult than facing the idea that those closest to you will eventually die. Although not a comfortable topic, it is vital that you discuss end-of-life care and options with your family before you encounter a situation in which you lose control of medical decisions. A living will, or advanced directive, describes an individual’s wishes for medical treatment. For example, a living will may contain instructions not to resuscitate an individual should their heart stop. It may also detail to what extent you want to receive medical treatment and to what lengths medical personnel should go to keep you alive. Without a living will, hospitals and doctors are legally obligated to take every step possible to keep someone alive for as long as possible. In some cases, this can result in years spent on a respirator even after an individual is declared brain dead. Ask any adult who has broached the subject of dying with their parents or spouse, and they will undoubtedly agree that it an awkward discussion at best. However, putting off this discussion until ‘later’ is a mistake that can have life-shattering consequences. No matter how young or healthy someone may seem, life is fragile and an accident or unexpected illness can occur quickly and with devastating consequences. Enlist the Help of a Doctor: If your parents are aging, end-of-life discussions should be a natural part of their medical care. Federal privacy laws prohibit doctors from sharing any medical information with you. However, it would not be inappropriate to call the doctor’s office before an appointment and ask if the physician could mention living will arrangements during a check-up. Create Your Own Living Will: Many people avoid the subject of living wills because they feel that they may offend their loved ones; that by bringing up the subject, they somehow imply they are expecting their family’s immediate death. Rather than approach the subject from that perspective, you can change the tone of the conversation by creating your living will first. Then, discuss its provisions with your loved ones and ask if they have one prepared. If not, offer to gather the appropriate forms for them. Be Matter-of-Fact: As mentioned previously, dying is a part of living. Everyone knows that. At the start of your conversation, acknowledge how uncomfortable the subject is, but explain that you want to be prepared for the unexpected. Convey to your loved ones that you are only asking because you love them and want to ensure their wishes are respected. Once you have approached the subject, let the other person’s response be your guide. If your loved one is not receptive, don’t push the subject. Sometimes, people need time to think about the topic before they are ready to create a living will. Being heavy-handed about the subject is guaranteed to back-fire and will only serve to hurt feelings. While estate planning attorneys can assist in drawing up living wills, you can avoid the expense by creating your own. At FindLegalForms.com, living wills and other estate planning documents are available for your use. These documents are prepared by attorneys and meet all legal requirements. Though many people confuse a “living will” with an actual “will,” the distinction between the two is one of the most important legal distinctions you could ever make. Your will deals with what you want to happen to your estate after you’ve passed on. But your living will deals with what you want to happen to you while you’re still alive! Needless to say, the difference is more than stark. And that’s why it’s important to recognize that it’s not enough to simply have a will; you also need a living will to address questions that could become very important to you and your family right away. But what exactly are those questions, and how might they save your life? That’s exactly what we’ll address right here. The living will is essentially something you write out in advance in order to give instructions to doctors when you are unable to do so yourself. While the idea is simple, the legal concept of a living will has only been around in the United States since the 1960s, when the first living wills were crafted out of existing estate laws. A living will is essentially the medical direction you leave behind in case you are unable to make your own medical decisions for yourself. For example, a living will might spell out that if you were ever to enter a persistent vegetative state, that you would not want to continue on life support (usually, this means being fed and given water). As you can see, a living will is indeed a document that could save your life one day. But there’s more to a living will than answering the question of whether or not you want doctors to “pull the plug.” A number of medical issues can be addressed, and generally these directions can be as specific or as general as you want them to be. Generally, the more specific, the better in terms of framing a clear legal document. You might be able to download a bill of sale and get rid of your old motorcycle in a day, but the living will is a document that needs a lot of attention and care. You’ll want to ask yourself fundamental questions about how you want to be treated in certain medical conditions – for example, if you want life support sustained, it’s important that you outline that desire specifically in your living will. It’s also important to consider that a living will offers direction and guidance to your loved ones, who in these extreme cases will find themselves enduring a heavy burden. Making sure that your clear, definite wishes are expressed in a living will is not only crucial for your medical decisions, but for easing the worry of these loved ones. The living will is truly a life-or-death document, and it raises some amazingly profound questions. That’s why it’s better to start answering them now rather than later.